Reel Restaurants’ artistic eye captures what makes your restaurant unique — your story, your food, and your dining experience. Turn your online visitors into paying customers. 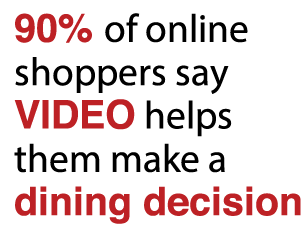 Supplement the written information about your product or service with video. 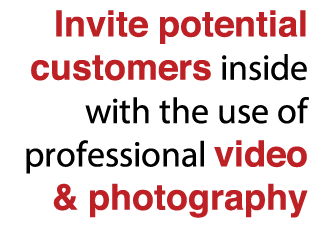 Give your customers a snapshot of how your product/service will enhance their bottom line, turning a visitor into a long-term customer. Our photos of your dishes are specifically designed to whet each potential customer’s appetite and desire for your food. Reel Restaurants’ still photography team takes food imaging to the next level.